Washington (CNN) - Ever present but rarely so public, the rift between the tea party wing and less radical establishment Republicans over policy and tactics was on full display Thursday ahead of a House vote on the compromise federal budget worked out with Democrats. Boehner told reporters on Thursday the deal was "not everything we wanted, but it advances conservative policy and moves us in the right direction." FULL STORY. 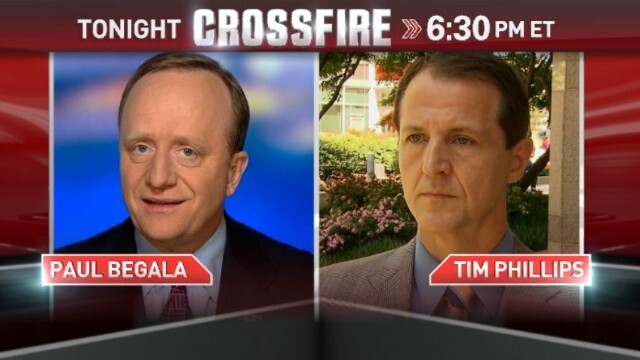 In the Crossfire, we have Democratic strategist Paul Begala and president of Americans for Prosperity Tim Phillips hosted by Stephanie Cutter and S.E. Cupp. We want you to weigh in: Does the budget deal represent a new era of bipartisanship in Washington? WHAT ARE THE NUMBERS OF PEOPLE AND ACTUAL COST FOR SUSIDIZING THE "WORKING POOR" AT WALMART, TARGET, ETC AND ALL OF THE MAJOR FAST FOOD COMPANIES PAYING LOW WAGES. IT WAS REPORTED ACTUAL COST FOR WALMART COULD BE AS LOW AS $.50 / TRANSACTION, FOR PAPA JOHNS $.05 PER PIZZA. THIS CAUSES PEOPLE TO HAVE TO GET FOOD STAMPS, OBAMACARE HEALTH CARE ETC TO SURVIVE. IN OTHER WORDS THE GOVERNMENT IS SUBSIDIZING THESE MAJOR CORPORTIONS BY ALLOWING THEM TO NOT PAY A LIVING WAGE. IF THE COST OF MEAT, BREAD , ETC GOES UP DO THEY GO OUT OF BUSINES? NO!!! WILL THEIR EMPLOYEES WITH LIVING WAGE BE ABLE TO LIVE WITHOUT GOVERNMENT ASSISTANCE ? YES!!!! I FIND IT RIDICULOUS THEY WANT TO CUT FOOD STAMPS, ETC BUT CONTINIE TO SUBSIDIZE BIG CORPORTIONS WHO DO NOT PAY A LIVING WAGE. MY ARGUEMENT IS LOW WAGE EARNERS SHOULD GET A LIVING WAGE !!!!! THEN WE CUT SUBSIDIES. I WONDER WHY THE TRUE COST OF GOVERNMENT ASSISTANCE TO " ONLY LOW INCOME WORKERS" IS NOT PUBLIC KNOWLEDGE. THE REAL REASON THEY DONT WANT THAT INFO PUBLIC!!! I FIND IT REICULOUS THAT SOME ONE WORKING AT A LOW INCOME JOB SHOULD FIND ANOTHER JOB. FAT CHANCE, IF THEY MADE A BAD DECISION AS A TEENAGER & THEREFORE THEY SHOULD SUFFER THE CONSEQUENCES, GO HUNGRY AND DO WITHOUT HEALTH CARE. HereintheUSA, I agree with everything you've said. Deserves an "AMEN." After watching Crossfire this evening, I am amazed at the comments made by Tim Phillips of Americans for Prosperity (prosperity for the Rich). He said his group will continue to flood the market with ads undermining the "the BAD Obamacare" law. It's so ridiculous! The President is not going to repeal the ACA law; republicans will not take back the White House; they'll lose seats in both chambers; and who, in their right mind, would listen to those republicans that have already signed up for "ObamaCare." One republican, who signed up, said he refused the health care subsidy. I hope Americans wake up and stop voting for those who are against their interest, i.e, social security vouchers in stead of Medicare; cut Social Security; voted against a jobs bill which would have put people back to work; those that want to cut food stamps and financial assistance (Welfare) etc. for the unemployed and military vets, for those who have been out of work through no fault of their own; cut Military and federal government employees pensions; cut military assistance to those who have sacrificed their lives and limbs to protect us; and tried to do everything they could to cut health programs for women (Planned Parenthood, ultrasounds, birth control pills, etc). American please stop listening to those who care less about the poor and swindling middle class! Let the rich folks like Limbaugh, Hannity, Beck, and Palin, etc. TALK TO THE HAND!! Obama is not doing his job not even congress or Supreme Court. Just let him walk all over you good job America. It's about time that they actually worked together and got something done – We still need the details – But, let's all hope that it's in the best interests of the American people that they're supposed to represent. Maybe this will be a good start – Because Americans still need our elected leaders from both parties to start working together on actually trying to fix the real problems in our country like outsourcing, illegal immigration, the out of control costs of health care insurance and our reliance on foreign fuel. Fix them together as Americans! – Because united we'll stand, but divided we'll fall. Now if our leaders would really start making decisions based on the fact that they are elected by the Citizens of the United States of America to represent the best interests of those citizens and the country itself, we'd all be better off. The American people just need them start remembering that they are NOT elected to represent the Global Market Place, Lobbyists or Foreign citizens! The extended unemployment benefits need to be renewed until the Real American Economy actually starts to improve. If over the last 2-3 decades, both parties hadn't been selling out the bulk of the American citizens, who they're supposed to represent, by allowing the incursion of illegal aliens (cheap labor) and the "out-sourcing" floodgates to open wider and wider without taking any sensible measures to stem the tide, this wouldn't have been necessary. Let's face it – Our economic problems didn't happen overnight. It's been happening over the past 15-20 years, but the economy was kept going by middle class Americans tapping into the equity on their homes until they were completely tapped out. We need to make smart cuts, but massive cutting just puts more people on unemployment, which just depresses the economy even further. The ONLY REAL FIX for our great country is to Raise Revenue, by Bringing Back Jobs to US Citizens who Pay Income Tax.